If you are in Liberia and need assistance as a British national then you can contact the British Embassy at the details listed below. The British Embassy in Monrovia can assist you with a birth registration or a visa for the United Kingdom such as a UK Fiancee visa or a UK spouse visa. It is always best to email the embassy first for details before you visit and also to ensure that they are open. Note the all hours telephone number for consular assistance which you can use during an emergency. See the email and a map to the embassy in Monrovia. 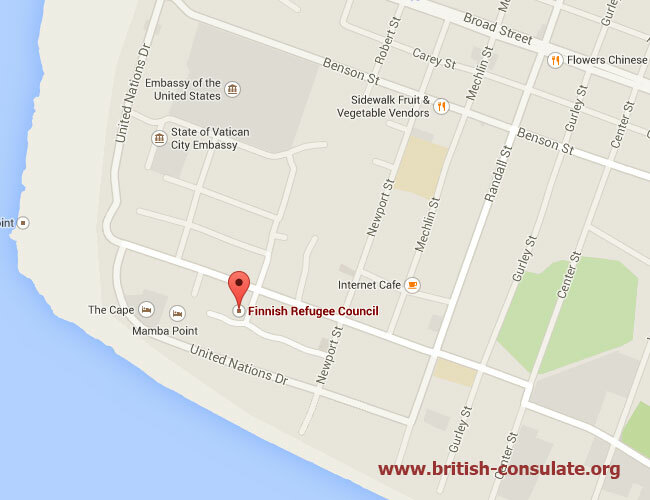 Note that the embassy can only provide consular assistance as defined by the British government. You can also seek passport renewal assistance if you cannot be assisted online.